The Israeli artist for Eurovision Song Contest 2018 was selected tonight in the talent show HaKokhav HaBa L'Eurovizion (The Next Star for Eurovision / הכוכב הבא לאירוויזיון). 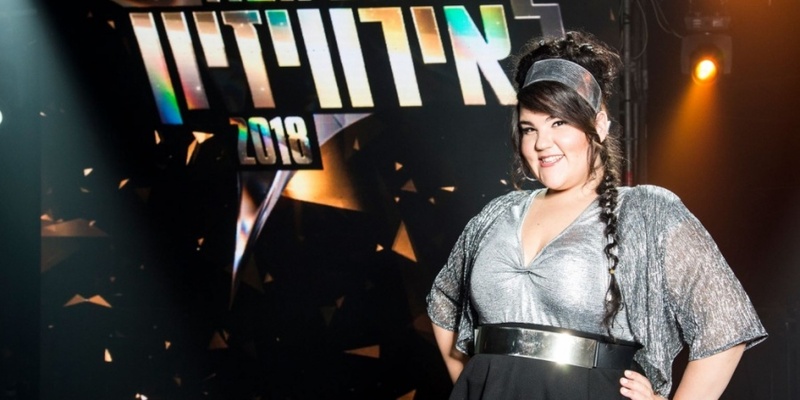 Four finalists competed in the final, and in the end it was Netta Barzilai who got most votes. Netta Barzilai is a DJ who also sings. She has been singing mainly on various clubs in Tel Aviv. Netta's Eurovision song will be chosen by a committee of the Israeli broadcaster and unveiled in the coming weeks. The talent show HaKokhav HaBa L'Eurovizion (הכוכב הבא לאירוויזיון / The Next Star For Eurovision) in Israel, or known as "Rising Star" international, is an interactive song contest. The winner of the show will represent Israel at Eurovision Song Contest 2018 in Lisbon. The Israeli broadcaster IPBC has taken over the Eurovision tasks for Israel, despite not being a full EBU member. EBU has allowed Israel and IPBC to participate in Eurovision events. Israel 2015: Nadav Guedj - "Golden Boy"
1978: Izhar Cohen and the Alphabeta - "Abanibi"
1979: Milk and Honey - "Hallelujah"
1998: Dana International - "Diva"
Israel has never ended last in the contest! Since the introduction of semi-finals in 2004, Israel qualified for the Grand Final 8 out of 14 times.